Sid Meier's Civilization is not only one of the best games in the top 50 of all video games, it's popularity is unparalleled and it has received a variety of face lifts since its creation in 1991. 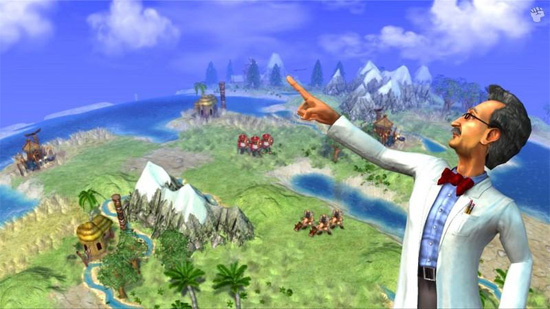 Although the title has experienced some limelight in the console world, Civilization Revolution is the penultimate Civilization experience on any gaming console that takes elements from the PC version and positively modifies it for the XBox 360 and the console world. For those unaware for the Civilization phenomena, the series is basically an empire-building game that requires the player to create their empire from the ground up that includes technologies, economy and defense to name a few of the attributes required to maintain. 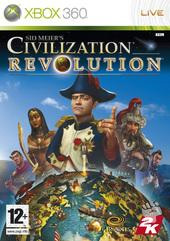 As briefly mentioned, the original game was a PC title that had the user using the keyboard and mouse to control their vast empires, however Civilization Revolution takes a much more subtle approach and uses the wireless XBox 360 controller which perfectly allows you to control the game from the comfort of your lounge. Although the title does have a rather high learning curve, the tutorials and manual will assist in the process, however if you are a fan of the previous titles, than the player should have no problems in mastering the title. Even though it's reminiscent of the PC version, the graphics have had a major facelift that make the title an impressive looking game which also contains your traditional advisors, albeit basic and comedic in appearance, assist you in your empire building. The Civiliopedia has returned to the console version which gives the player access to a plethora of game information from strategies to units and can be accessed at any point in the game. The control system of the XBox 360 is surprisingly quite impressive and uses a combination of most buttons with the analog sticks to control your gaming experience. Although it may feel a little complex, the developers have successfully ported the franchise to the console world and maneuvering your units or creating new buildings is quite a simple process. For example, the analog stick is used to move your units, whereas the D-pad gives instant access to units and commands. 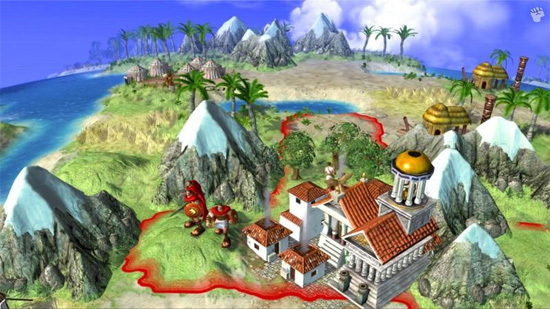 Revolution contains all the Civilization antics from the previous games as you can modify your empires cultural, economic or military power in the regions. The gameplay is quite varied and diverse and will have you coming back to this game quite often as you attempt to make diplomatic allies and double dealings with other countries. 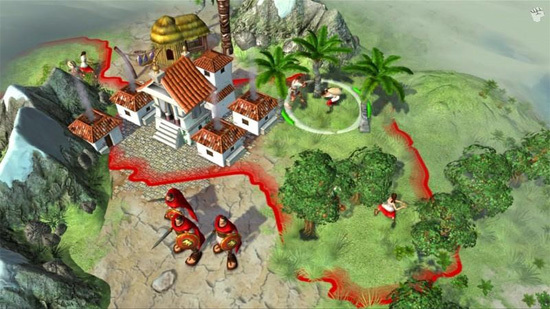 The micromanagement system of the game may seem a little simplistic when compared to the PC versions, however they are still quite engaging and nothing is more satisfying than seeing your armies march across the globe as you enforce your powers or protect your country from invading enemies such as Gandhi or Montezuma. The only downside of the title is that you cannot continue after you have achieved victory which was a great feature in the PC version as you could continue playing, even when objectives have been completed. Maybe in the next version? Graphically, the title is quite colourful and in some aspects a little Spartan in a "cartoony" type of way that suits the genre perfectly and looks fabulous on a high definition TV. Even though the graphics have been simplified to suit the console world, the details are still there and seeing your cities develop is quite an enjoyable experience. The title contains some great cutscenes and special effects that go hand-in-hand with the gameplay. The soundtrack is also quite ambient and suits the subtly of the game and match that with a variety of sound effects and it's almost as if you are part of this new empire. In conclusion, Civilization Revolution is a rather immersive an addictive title that perfectly suits the console world and offers a decent strategic game with all the intricacies of the original series. Good gameplay, impressive gameplay and overall an enjoyable title that is perfect for the gamer looking for something a little different than your stock standard first person shooter or sports games.